The Splendid Sampler Block 12 is Checkerboard by Pat Sloan! This adorable block is a free pattern available now for your to create your very own one of a kind block! They were so sweet I made two! 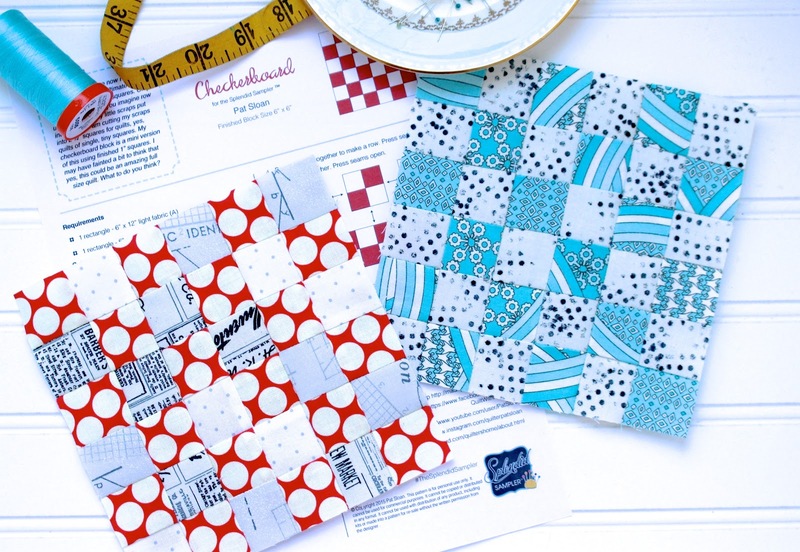 Pat has step outs for this block on her blog to make sure your tiny squares are perfection! My tips is ( as always) to use Aurifil 50wt thread for piecing! The 50wt thread makes is possible for you to piece with more accuracy! No bulky seams and blocks that are the wrong size! Make sure to join The Splendid Sampler Facebook Group for tons of support and inspiration! Also, if you are posting your photos on social media, make sure to add the hashtag #thesplendidsampler! I am loving seeing all of the different blocks!